Are you ready to transform your new patient numbers for your plastic surgery practice? 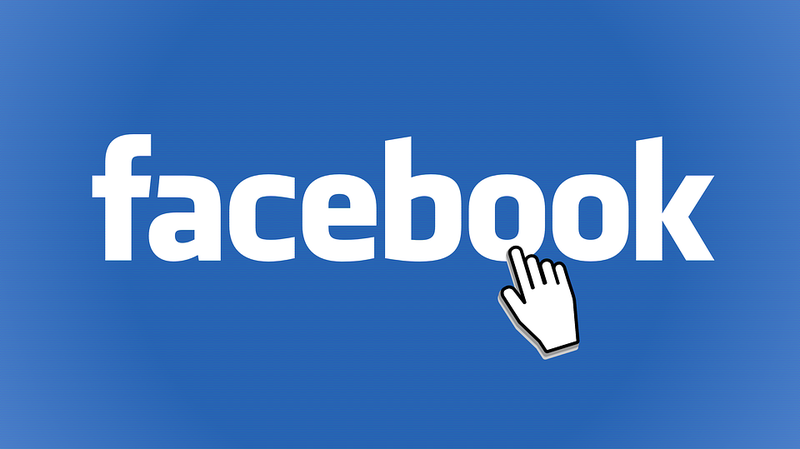 Then it’s time to say hello to Facebook ads, giving your lead generation strategy the facelift it deserves! 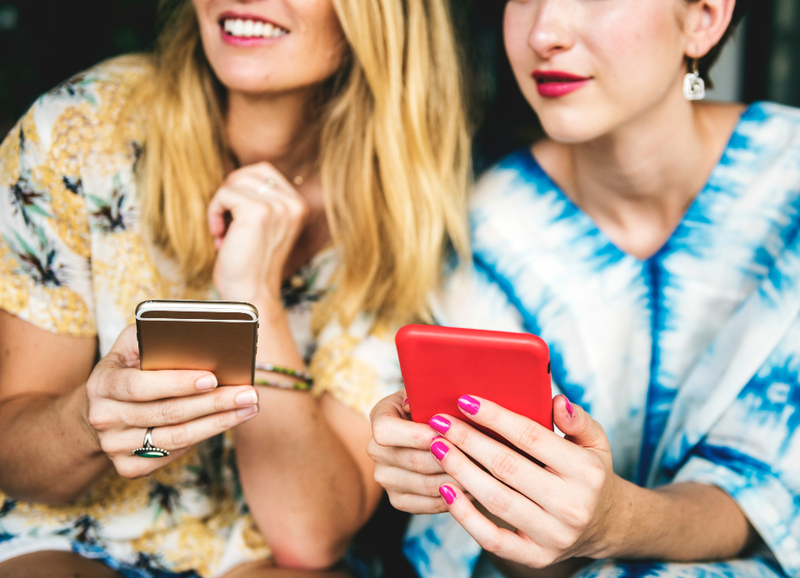 In today’s digital world, plastic surgeons have found the social media platform’s advertising capabilities to have a positive impact on their practices. Awareness—increases knowledge of your practice by promoting your business page. 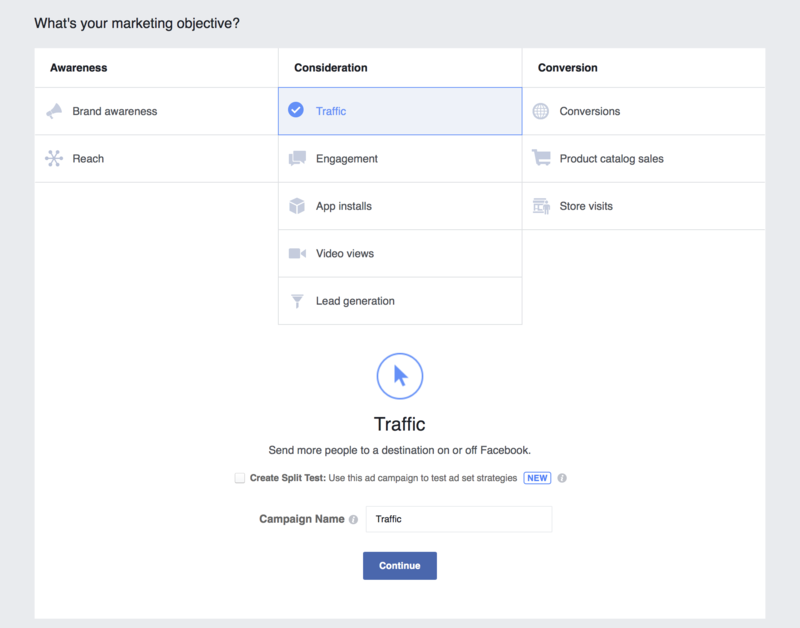 Consideration—encourages users to leave Facebook (by clicking your ad) and take the next step in the sales funnel, providing you more information on them. Conversions—makes all the quantifiable revenue-generating activities happen. That’s the real beauty of Facebook. But, in order to get more awareness, consideration, and conversions, you need to create an ad that has all of the following features: an attractive offer, an excellent visual, model copy, flawless targeting, and so much more. Does that leave you feeling less than confident as you might not know where to even begin? And, it can definitely be a time-consuming task to polish your ad for picture-perfect results. 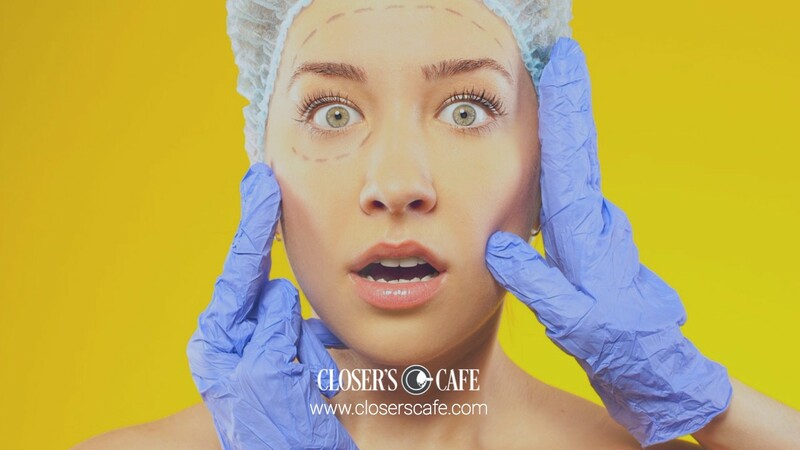 Fortunately, the team at Closer's Cafe is revealing a ready-made funnel that’ll help you get new plastic surgery patients this week—all by using Facebook ads. You ready to get your hands on it? 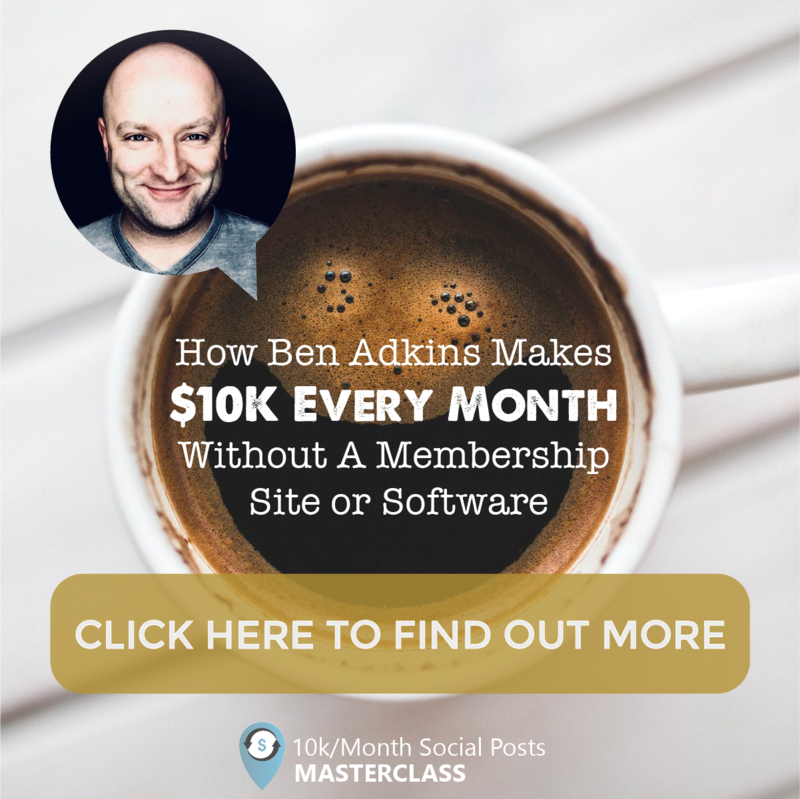 Want to know the secret to creating a Facebook ad that draws in new business? It’s a jaw-dropping offer (JDO)—that special something to not only get the Facebook user to slow their scroll and stop at your ad, but also click on it. 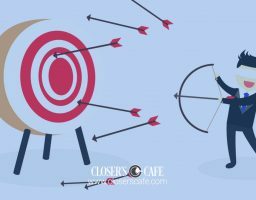 It needs to be a narrowly targeted, attractive sales offer that compels your people. Let me explain why. When you create an attractive, high-value offer that’s exclusive to one specific audience versus everyone in the book, it’ll be easier to ring in a greater number of leads for your plastic surgery practice. With that being said, in this funnel example, we’ll focus on women, ages 30-50, who are either divorced, separated, or in a complicated relationship. Reason being, this demographic group tends to be in the same mindset—they’re trying to make improvements to their physical appearance in order to take back their youth and put themselves out on the “market” again. 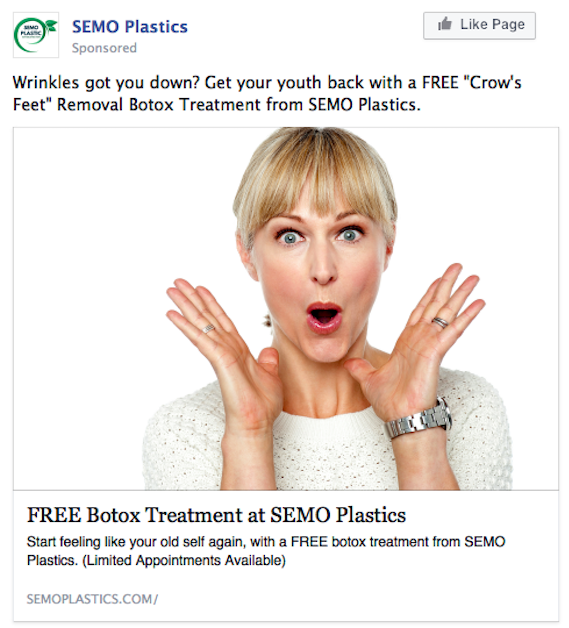 Now that we’ve pinpointed our targeting specifics, let’s move onto the high-value, attractive service that’s feasible for you to offer: a free Botox “crow’s feet” removal. As you can imagine, you won’t get picture-perfect results if you don’t take your time to thoughtfully execute each part. Therefore, to quickly set you up for success, let’s walk through the entire funnel—from start to finish. This is where you’ll put that JDO on full display for your audience to see (and get excited about). Remember, it doesn’t need to be glamorous and you don’t need to spend hours of your time writing expert copy. Your ultimate goal is to just get those clicks = LEADS. The most effective ad type to accomplish that goal? Consideration, with the ideal objective being Traffic. After all, you’re focused on sending people to a destination on or off of Facebook to get some new patients. 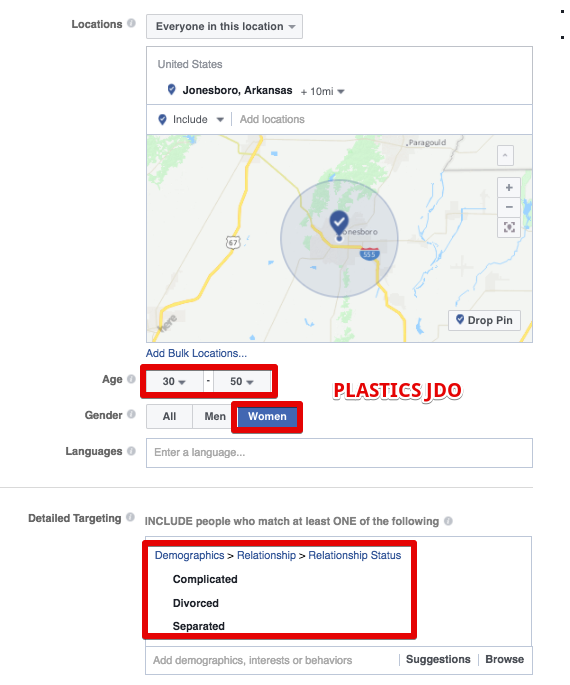 Next, let’s take a closer look at the ad’s targeting, bringing the segment we discussed earlier (women, ages 30-50, who are either divorced, separated (single), or in a complicated relationship) into the picture. One thing is for sure: when using Facebook, the countless targeting options can be overwhelming. Thus, we focused on sharing a select few as they’ll do the best job of raising your patient numbers. Sound good? Onto building your ad creative! Again, it doesn’t need to be anything over-the-top. Instead, it should simply be enough to get the audience to take action. The ad example above is a great example. Take a look, and let’s discuss the design elements that handle all the hard work for you—enhancing what it is you’re offering and catching the audience’s eye. The Ad Headline—super simple and straightforward. States the offer clearly: FREE BOTOX TREATMENT. The Main Ad Copy—gets right to the point. Asks the ideal prospective patient if they're sad about their wrinkles and lays the offer out as the answer to their problem. 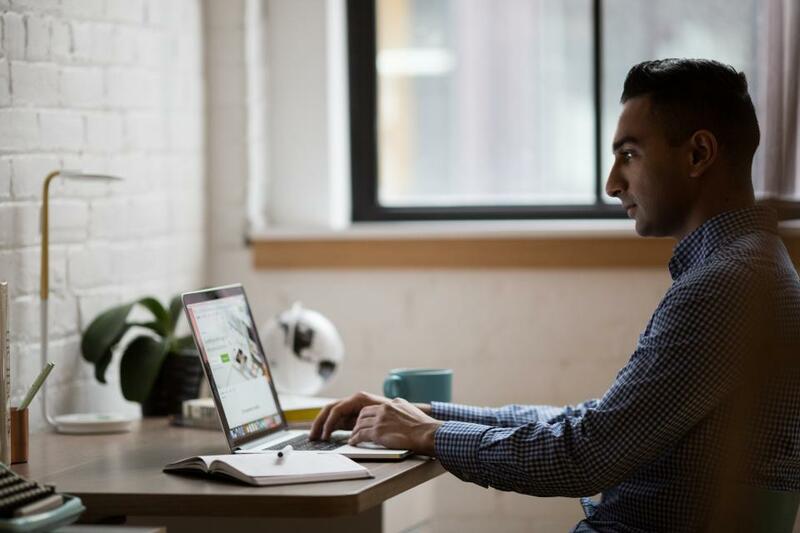 The Ad Image—features a relatable image, making it easier for the audience to envision themselves obtaining the same results (we recommend looking to stock.adobe.com for royalty-free stock images). The Ad Description—falls perfectly inline with the demographic we’re targeting with a mention to “get your youth back.” Plus, it includes more information on the practice presenting this offer and injects scarcity to encourage immediate action (Limited Appointments Available). The URL—is easy to read and is a custom domain. You’ll want to avoid extension URLS (ex. .clickfunnels). They’ll cost your ad more in the long run as they’re ranked poorly by Web of Trust. The Call-to-Action Button—by choosing Learn More, we’re preparing the audience to get more information about the offer. Once your audience clicks on your ad (and, they absolutely will if you follow the example shared above! ), they’ll move onto the next part of the funnel: the opt-in page, prompting them to provide their contact information in return for your JDO. From there, you’ll have the ability to reach back out to them to schedule additional appointments and offer other services—turning them into loyal patients! It’s great and all if you have a Contact Us form on your practice’s website. But, that’s not the place to send your leads. Why? They’ll just be confused once they arrive because, chances are, the copy and design won’t be even close to what they saw on your ad. Therefore, we recommend you use LeadKit to set up a designated page for your offer. The best part? It’s a fast and professional way to build out your funnel pages at a low cost ($20/month). Check out the simple landing page example above. Wondering why it works so well? There are three reasons in particular. Let’s talk about them! The image and page text are consistent with the ad that led your target there. The image is the same “After” image from the ad for continuity purposes. And, the page text simply reiterates the offer. The audience is being asked to provide very minimal information—name, email address, and phone number. Thus, steering clear from overwhelming them and causing them to click away from the page. All before they fill out the form and claim the offer. And, there’s scarcity. This is very important. In this example, we’re only offering this special service to the first 10 appointments. Setting a limit will get the audience to opt-in faster and push them into the office. We’ve used this layout for dozens of different industries and it works perfectly every. single. time. After the prospective patient enters their information on the landing page and clicks the “Take My Wrinkles Now!” button, they’re added to your email list and redirected to a Thank You page. At first glance, you’ll probably notice the page is almost identical to the opt-in page. 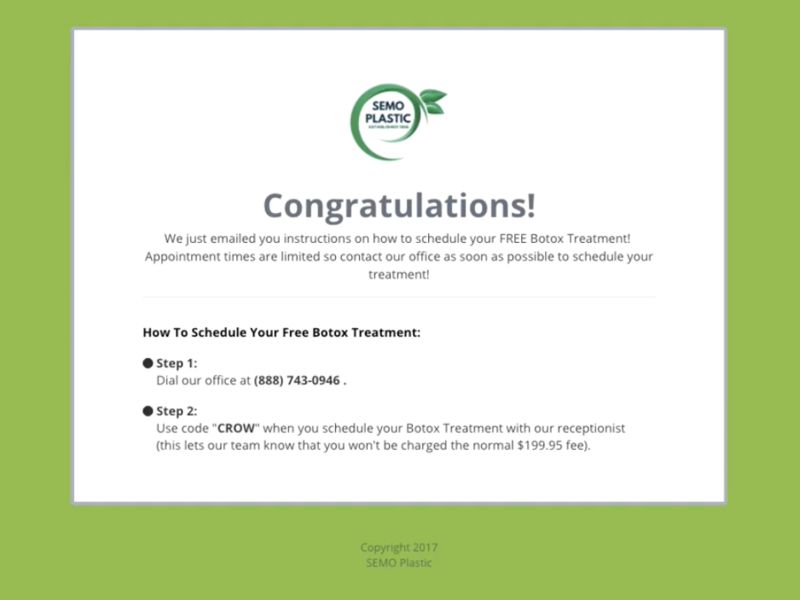 It starts off explaining an email is coming their way soon with instructions on how to schedule their free Botox treatment—encouraging them to call the office as soon as possible and state the code (“CROW”) to redeem. And, while the number on this page looks like a typical number, it’s not. It’s actually a tracking number that forwards calls to your business in order to track the effectiveness of the campaign. You can set this up painlessly at CallRail.com. Most importantly, if you’ve been following our AdLab Funnel Series, don’t overlook the fact that we didn’t throw in a bonus stack at the end. What’s a bonus stack, you ask? It’s an additional freebie or special offer added to the original offer. It’s not included on this page because the free Botox treatment is valuable enough on its own. And, because the results wear off, the patient will be encouraged to return again as long as you’ve made the experience a pleasant one. And, that completes the first three parts of our four-part picture-perfect funnel. We’ve saved the best and most important part of this process for last: the follow-up! 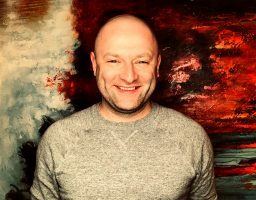 If you’re tired of not being able to get your leads to convert, stick with me and I’ll share what you can do to change that. If you’re an avid reader of our blog posts, what I’m about to say next will come as no surprise: the degree to which you follow-up with your leads can transform your campaign. Here’s why: following up will remove any barriers that stand between them and actually going into your office. Not to mention, you’ll make them feel like more than just another patient on your books! So, to wrap up this last part of the marketing funnel, you’ll need to send a series of two emails, as well as an SMS text message. What’s the reason for the text message? It puts your tracking phone number in their hands, encouraging them to call right away—without hesitation. So, how the heck do you go about setting all this up? SendGrid is your trusted assistant (or any other autoresponder tool you prefer), helping you get your follow-up emails out to your soon-to-be new patients in no time. Give Your Patient Numbers a Facelift! We’ve made it easy for you to make the necessary improvements to your lead generation strategy using our four-part, ready-made sales funnel. It’s your solution to finally giving your patient numbers a facelift using Facebook ads! And, the best part? It’ll work no matter what stage of business you’re in. 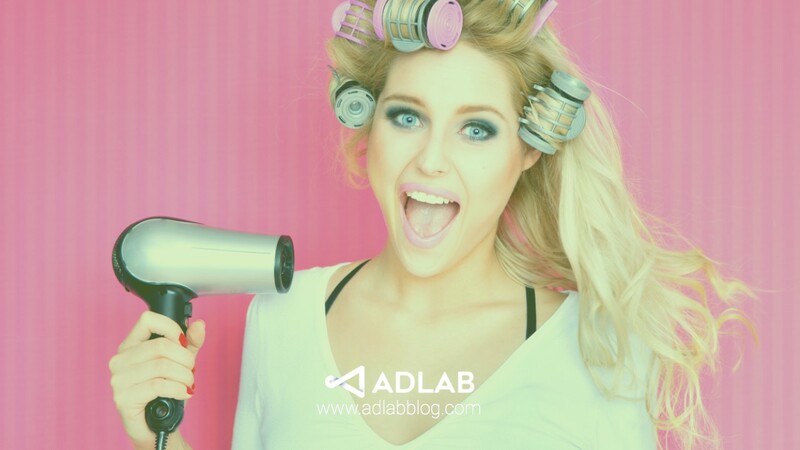 If you loved getting your hands on the information shared here today, and are ready to stay ahead of the Facebook advertising game, join AdLab. 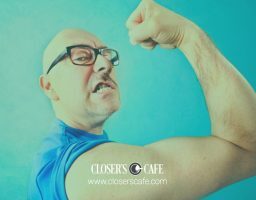 It’s your unfair advantage to run a successful agency from home, and master campaigns for your current and future clients. Have questions or something to share on this funnel? Drop us a comment below. And, be sure to share your results with us once you put it to use! Thank you for this super valuable post. I would like to offer Facebook ads and build my Facebook ads agency around this specific niche. (plastic surgeon and med Spas).But I’m not sure if I could get away with the restricted Facebook policies for this niche and getting my ads approved. It is… but you have to be very careful with your language and the ad image. Hi Ben, After you give them the free botox then what? 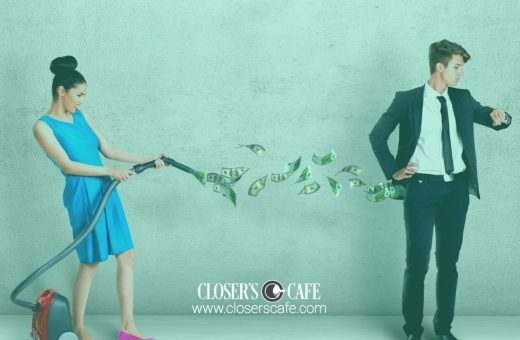 Does the plastic surgeon follow up to offer a higher end offer? Can you do a part two of this post that shows that process?